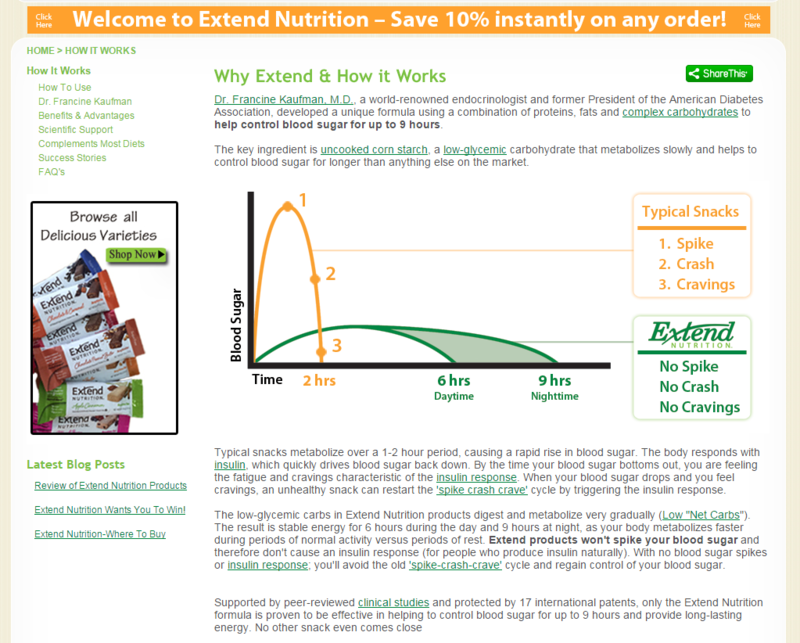 Extend Nutrition is a national brand providing delicious, high protein snacks that help to control blood sugar for as long as nine hours, catering to diabetics, health and fitness enthusiasts, and those seeking to lose weight and lead a healthy lifestyle. 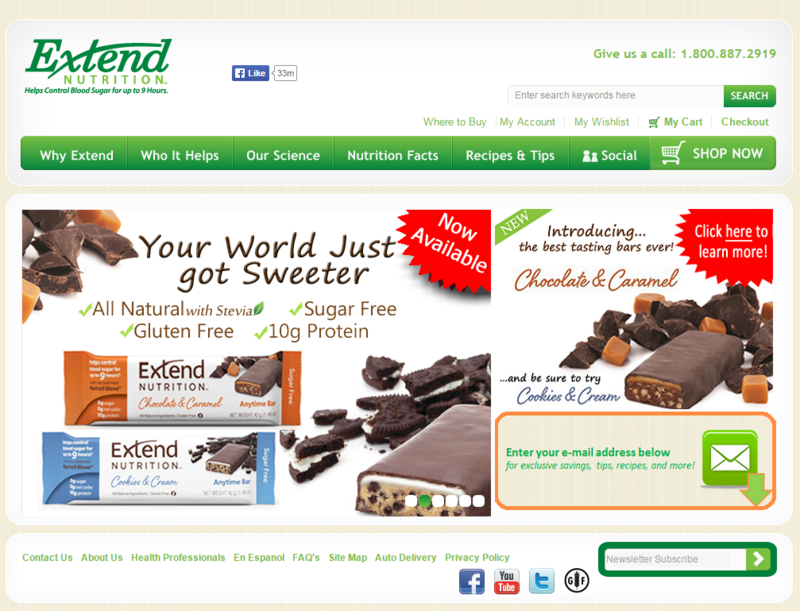 Originally developed by a doctor in 2000, Extend Nutrition’s product line of bars, crisps, and shakes can now be found at many of the nation’s largest retailers such as Walmart, Walgreens, Target, etc. 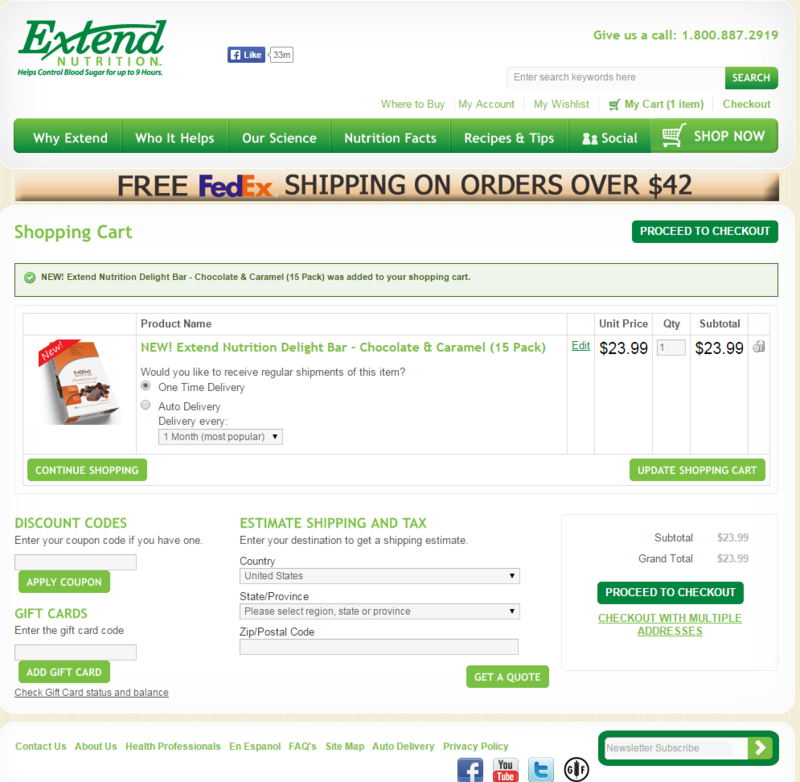 InteractOne was tasked with migrating Extend Nutrition from a legacy homegrown website to the Magento eCommerce platform. 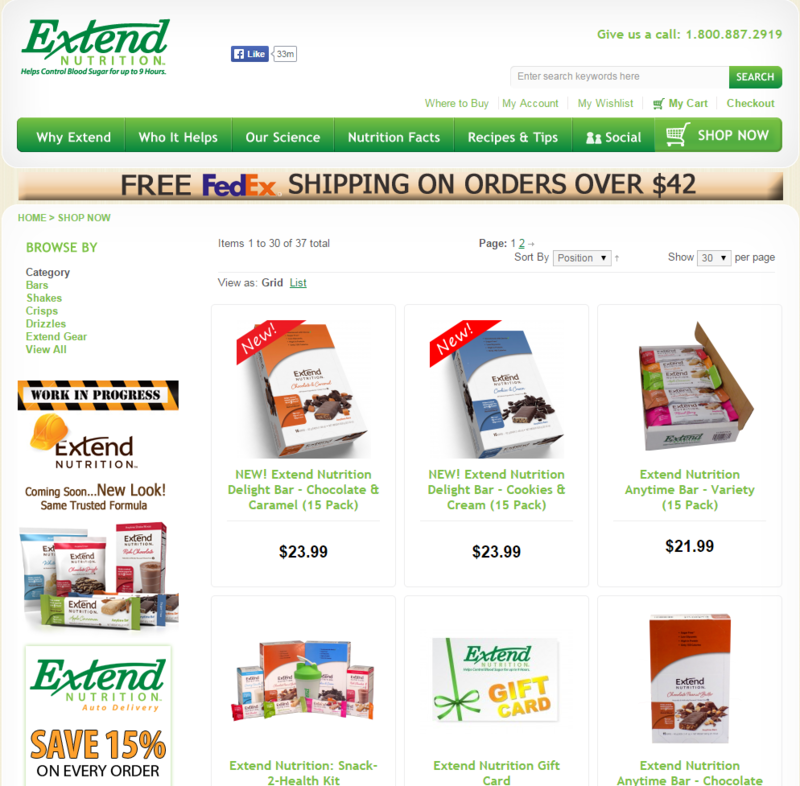 Like each Magento project undertaken by InteractOne, developing Extend Nutrition’s new website began with an extensive Feature Exploration Process. This comprehensive effort ensures that priorities and requirements are fully outlined – avoiding surprises. 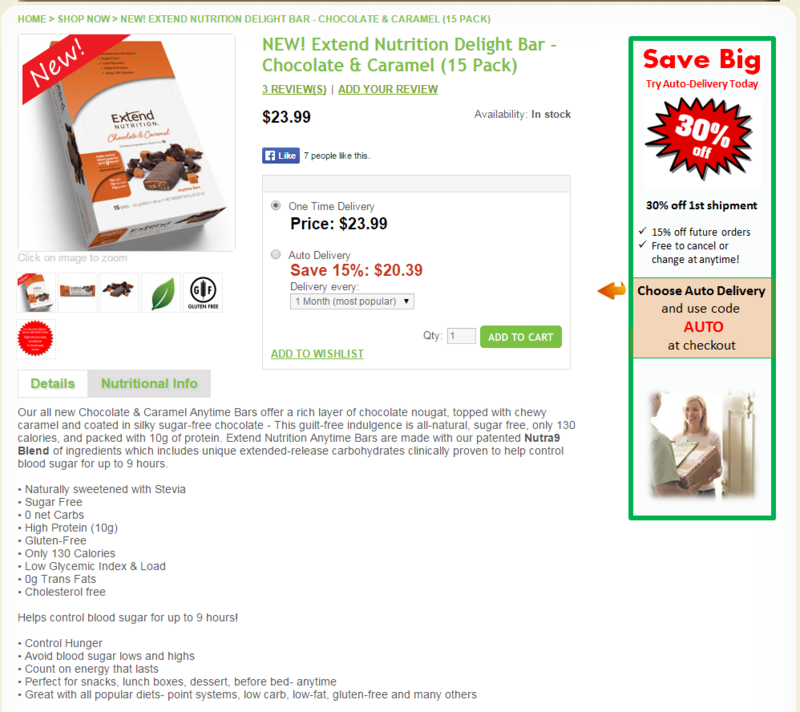 A well-planned approach is the key to any Magento project. 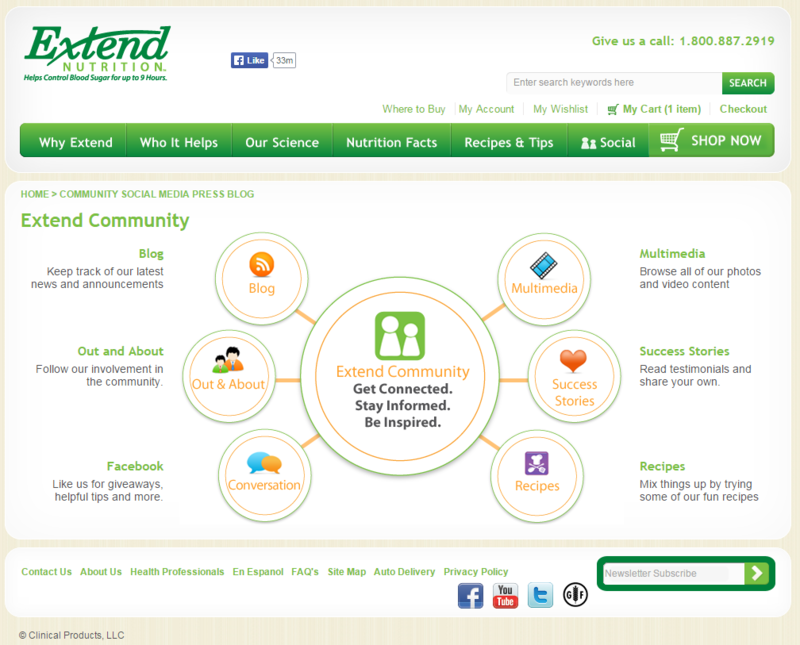 The team at InteractOne focused on designing and building a new site that would effectively communicate Extend Nutrition’s branding while offering a rich but simple user experience and remove the barriers to conversion. If you are interested in learning more about how InteractOne can help with your Magento issues, or how to optimize your Magento installation for your brand, please contact us or call 513-469-3345.